The winner and runner-ups of World Mayor 2014 will be chosen based on the number of nominations in relation to the size of their cities and, more importantly, on the persuasiveness and conviction of testimonials received during this year's World Mayor Project. 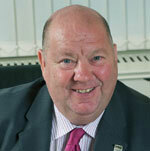 Below we publish a selection of comments received to date about WM nominee Joe Anderson, Mayor of Liverpool, UK. Comment: Joe Anderson combines the very best qualities you need to be a mayor, strong, direct and fair leadership , boundless ambition for the city (not for himself) and a cracking sense of humour. He can see the big picture yet cares passionately about every individual in this city as is shown by his pledges and his actions. At times when the city’s budget is under threat instead of burrowing down and hoping for it to pass he has pushed and driven this city onto an international stage….constantly striving for a better place. I have worked in this city and for the authority for 15 years through the bid and delivery of European Capital of Culture and the legacy (often non-existent in many cities) of that great event has been led by Mayor Anderson with his customary passion and forward thinking of what next…let’s do it better, what’s the next idea….. Comment: I am old enough to remember the damage inflicted on Liverpool by Derek Hutton and his ‘loony left’ cronies in the 1980s and unfortunately his name still crops up when I tell people of my generation that I’m from Liverpool. It is difficult to convince people that the city has changed, particularly since it was European Capital of Culture in 2008. (1) Did not hold a referendum to see if the people of Liverpool actually wanted a mayor. He said that he had a special deal from the government - this turned out to be untrue. (2) He brought the election forward by 6 months, again for some spurious reason. The fact is that this meant that independents and other parties who wished to put forward a candidate had very little time to prepare.